Angel Garcia fell four stories on Tuesday, the 3rd of December 2013. The hospital pronounced him dead soon after his arrival at the hospital. He was only twenty-five years old. 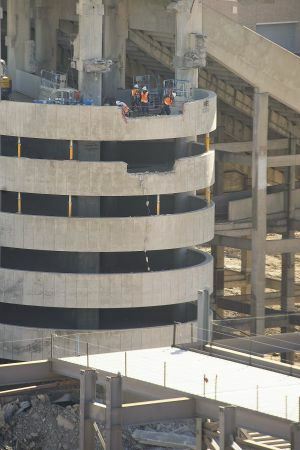 Garcia was working on renovations at the north end of Kyle Field stadium at the time of the incident. Lindamood Demolition was the firm that hired him to be part of the renovation work. This firm was just one of the many firms contracted by Kyle Field’s management to undertake massive renovations at the stadium. The renovation work was intense. It began soon after the Texas A&M Aggie football team won over Mississippi State University in a fifty one to forty one win. The total cost of the renovations is over $450 million. When completed, the stadium would have a seating capacity of over one hundred thousand people. This would make it one of the five largest football stadiums in the United States. Currently, Kyle Field is the seventeenth largest football stadium in the United States with a capacity of over eighty three thousand seats. The President of Texas A&M University released a press statement soon after the incident. In it, the President expressed the university’s sincere sympathies in regards to this incident. The university also offered its deepest condolences to the family and friends of the construction worker. Because of the fall, Kyle Field is now under investigation by the US Occupational Safety and Health Administration. The Texas A&M University System and the university police are also investigating the incident. Kyle Field has been the home of the Texas A&M Aggie football team since 1904. Fans of this time-honored football team can just hope that all will be well and that the renovations will soon resume. Unfortunately, this is not the first incident of death from a fall at a football stadium. There have been a series of similar incidents in recent years. Most recently, a fan of the San Francisco 49ers fell outside Candlestick Park. The fan died. Police state that the fan had been intoxicated and fell from an overpass onto the sidewalk. A fan of the Atlanta Braves also fell from the upper deck of his home team’s stadium while a fan of the Houston Texans fell to his death from the Reliant Stadium. All of these incidents happened this year.